Pembe and ‘Aykut’s Army’ are coming together this September to fundraise for the Neonatal Intensive Care Unit at the Royal Women’s Hospital. By purchasing a ticket for the ‘Miracles Do Happen Fundraising Lunch’ on September 9th, you will be directly supporting the purchase of NICU items such as humidicrib sheets, toys, musical boxes, bouncers and much more. After spending 143 days in NICU at the start of his life, Aykut and his parents, Pembe and Kemal, are ready to share their journey and give back to NICU and the special team of staff. The Foundation is incredibly thankful to ‘Aykut’s Army’ for their hard work and generosity and urge our supporters, families and friends to attend their upcoming event. Please contact Pembe on 0433 616 000 to find out more about the ‘Miracles Do Happen Fundraising Lunch’. What’s your day-to-day role for SACL? My role at SACL involves providing counselling, advocacy and support to people in Victoria who have experienced sexual assault. 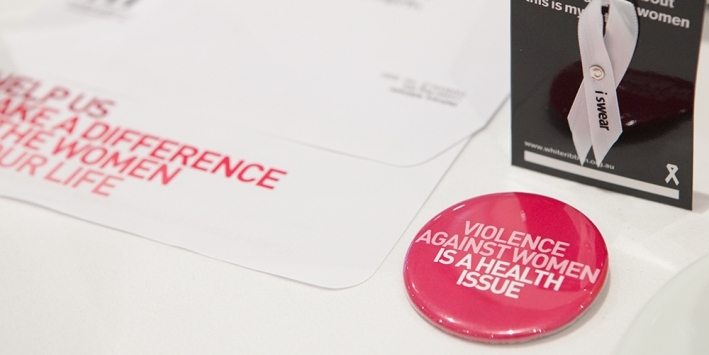 Coordinating an immediate crisis care response for people who have experienced recent sexual assault is a key component of my role, as is the provision of crisis counselling to survivors of past sexual assault who may be struggling with the impacts of violence after hours. The SACL team also provide information and support to non-offending family and friends, and secondary consultation to other professionals working in the community. There are lots! Being witness to the exponential growth in community awareness and responsiveness to interpersonal violence that we have witnessed over the past few years, as exemplified by the #MeToo movement, has been incredibly rewarding; I get to speak to lots of survivors who talk passionately about the feelings of empowerment and solidarity they gain from seeing others speak up about their experiences of violence, and these are always incredibly moving conversations. Another really rewarding aspect of my role is when I get to extend support to a caller who is speaking for the very first time about the sexual violence they have survived. Building rapport with these callers and ensuring that their first experience of professional support is a positive one is very meaningful for me. Managing the ever increasing volume of calls is certainly a challenge, as is handling those very complex calls when survivors contact in acute distress expressing suicidal ideation and intent. Supporting survivors to remain safe is fundamental to our role, and often involves collaboration with Police, Ambulance and other emergency response services. Another challenging part of the job for me is hearing survivor’s disappointment and despair upon learning that insufficient evidence exists for police to pursue charges against the perpetrator or perpetrators. Given the hidden nature of sexual assault and the fact that there are rarely witnesses to these crimes, I am afraid calls of this nature are not at all unusual. What are a few key ways which SACL can help/improve the lives of the people who call? What is the most valuable thing you have learnt while working for SACL? This is a great question! Perhaps the most valuable thing I have learnt while working at SACL is to never underestimate the resilience, capacity, resourcefulness, strength and survivorship of people who have experienced sexual violence. Another important learning has been recognising the vital role that hope plays in the lives of our callers. Communicating across to survivors and their allies a sense of hope for the future, and conveying belief in their capacity to reach a place of healing, is something I aim to do in every call I am privileged to take. Finally and valuably, my time at SACL has taught me that increasing one’s caffeine intake at the tail end of a nightshift does not augur well for a restful day ahead! The newly upgraded Sandringham Special Care Nursery is open for baby business. The new space allows babies that are born prematurely or who were too unwell to be cared for closer to home, minimizing the time babies need to be separated from their families and allowing new parents’ support networks to be close by. The Women’s Executive Director of Clinical Operations, Lisa Dunlop, proudly hosted the opening ceremony of the new Sandringham Special Care Nursery. “The nursery provides a modern space for eight special care cots, increasing from our previous six, there is also a new family room which can be used by both maternity and nursery patients and space at the cot side for a parent to stay overnight if they choose.” Said Lisa, at the opening of the nursery. More than 1,600 babies are born at the Women’s at Sandringham each year and most will go home without needing special care treatment. The Women’s has been providing maternity and gynecological services to Bayside patients from Sandringham Hospital campus since October 2013, caring for around 1,800 women each year. Women’s nurses and midwives are being provided the opportunity to rotate between Parkville and Sandringham to allow staff to up skill in the combined neonatal intensive care and special care unit at the Parkville precinct. After kicking off the sneakers following this year’s Run Melbourne, we would like to send a big thank you to all of the people who either ran, walked, cheered or donated in support of the ‘Royal Runners’ and the Women’s Foundation this year. With a record 55 runners on the track for the Women’s, this amazing crew raised over $13,000 for women and newborn health. Motivated by their common view that all women and newborns deserve exceptional health care, the team had a great day (with some exceptional Melbourne weather), looking after their own health as well as that of the Women’s. 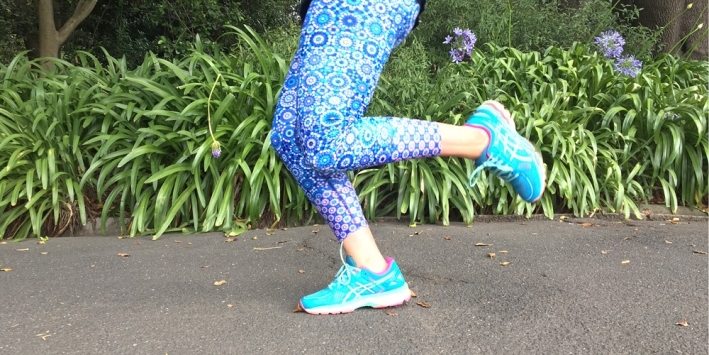 Do you love running, walking with friends or getting involved in iconic Melbourne events? If you’re interested in joining us for Run Melbourne 2018, where we are aiming for 100 ‘Royal Runners’, email Kate at the Foundation and be the first to hear when our 2018 team registration is open. 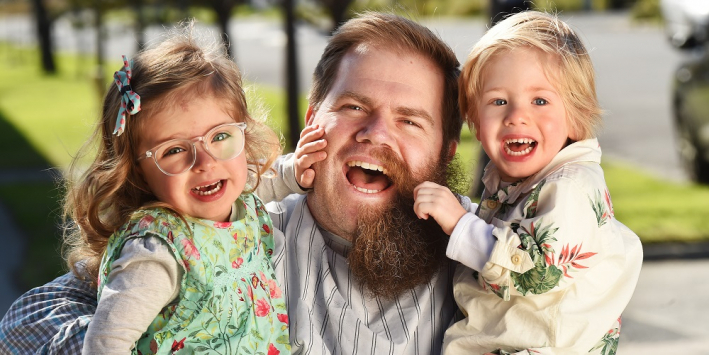 The drive behind Radford White’s fundraising campaign ‘NICU Beard Club’ stems from his own experience as a NICU dad at the Women’s, when he and his wife Kirsten’s twins Rupert and Maisie were born 10 weeks early on July 19, 2013. “I found as a NICU dad coming in to this environment that there’s not a lot of support for dads, there’s a lot of support for women which is great and really needed, but there’s not a lot for the dads,” Radford said. While his twins were recovering, Radford joined the NICU Dads’ Group – the brainchild of Associate Professor Carl Kuschel, Medical Director of Neonatal Services. Carl had seen that NICU dads needed to be able to share their experiences with other dads going through the same thing; to help each other negotiate what was, after all, a whole new world. Radford’s fundraising efforts will support future NICU dads through the collation of stories and experiences of past NICU dads, both in a written form and podcasts, to help those trying to grapple with a newborn in intensive care. Visit his Books for Beards fundraising page to donate. Radford is also recruiting past NICU dads to share their experience. Email support@theradicaldads.com to get involved. 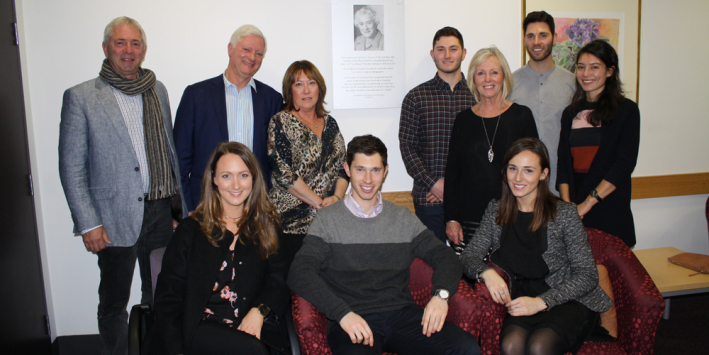 Two generations of the Baer family came to the Women’s recently to celebrate the role their mother and grandmother played in women’s health and to launch a new annual scholarship which will support the Women’s staff to develop their professional practice. Pat Baer OBE, was a member of the Royal Women’s Hospital Board from 1964-1977 and Board President between 1974 and 1977. Pat was particularly passionate about building services that take into account women’s lived experiences and during her time on the Board, was a keen advocate for services to support victims/survivors of sexual assault. In recognition of his mother’s key role in the development of these services and the contribution she made to women’s health, her son David and his wife Cheryl have endowed a gift that will establish the Pat Baer Scholarship for Social Work. The Scholarship will be awarded annually from 2018 onwards to a member of the Women’s Social Work department to undertake research or support their study in an area of clinical practice that will contribute to their work at the Women’s. The Women’s social workers work across a range of departments at the Women’s, with two of the main areas being the provision of services to victims/ survivors of sexual assault: our Centre Against Sexual Assault (CASA House) and our Sexual Assault Crisis Line (SACL). It is fitting that Pat’s name and legacy live on in this new scholarship that will enable our staff and social work practice to develop. You may have noticed that September in Melbourne sees people wearing some new and unusual shades of lipstick – this is Liptember! Developed from the passion and commitment of a group of people who wanted to make a difference to the mental health and wellbeing of women, Liptember is now a booming campaign of which the Centre for Women’s Mental Health at the Royal Women’s Hospital is a major beneficiary. Across Australia, people are encouraged to go to their local Chemist Warehouse, pick a new Liptember lipstick (or three) and spend September proudly wearing their new colour to ‘kiss away the blues’. This year, the Women’s will be more involved than ever before at spreading awareness for the Liptember campaign and supporting Luke and the Liptember team to have their best September to date. Entering the Royal Women’s Hospital (Parkville) throughout September, you will have been greeted by an enthusiastic and lipstick laden team of staff and volunteers at the front door. Chatting to visitors, selling merchandise and encouraging participation is their mission – so make sure you say hello and show your support at you make your way through the foyer during the rest of the month. Why are we so excited about this campaign at the Women’s? The Centre for Women’s Mental Health at the Women’shas so far received over $1million from Liptember. The Centre, run some of the nation’s most forward thinking programs to improve the mental health of women, at all stages of life. Liptember funded programs like Safe Mothers, Safe Babies are setting the standard for the care of new mother’s mental health Australia wide. We encourage everyone to get behind the campaign this September, purchase a Liptember Lipstick from Chemist Warehouse, visit the roaming photo booth at the Women’s and post to social media using the hashtags #liptember and #theroyalwomens. To donate to this wonderful cause, please visit the Everyday Hero page of our very own Foundation CEO, Jan Chisholm, who has committed to wearing a Liptember Lipstick every day in September. We can’t wait to see her in black lipstick at an important hospital meeting – watch out for selfies “Everyday hero link”. Imagine finding yourself in a situation where you need medical care but don’t have access to a clean change of clothes or toiletries or anyone you can ask to find them for you. Unfortunately, for some women in our own community, workplaces or families, this hardship becomes a reality. Whether it is due to experiencing homelessness, sexual assault or violence, domestic issues or suffering a medical emergency, the Women’s sees people in need of clothing and essentials every day. In response to this need, The Royal Women’s Hospital Foundation recently welcomed a very generous donation of clothing packs from SASS Clothing Company in Melbourne. Aptly named the 'Betty Care Packs', the 70 packs were sourced, sorted and packed with care and attention by a small team of SASS staff. Containing a pair of cotton stretch pants, a wrap cardigan and a t-shirt each, the packs were collected by the Women’s Foundation team and delivered to our Social Work Department, where they were put to use almost immediately. The Women’s Chief Social Worker, Penelope Vye, tells us social workers across the hospital in services such as the Women’s Drug and Alcohol Service, our Centre Against Sexual Assault (CASA), the Women’s Emergency Centre, Pregnancy Advisory Service and Social Work - will provide the packs to patients in need. Again we thank SASS Clothing for their kindness and generosity. We look forward to an ongoing partnership long into the future and continuing to help women in need. If your business would like to support the work of the Women’s, please call or email us to discuss the ways you could help (our contact details are on the top left of this page). 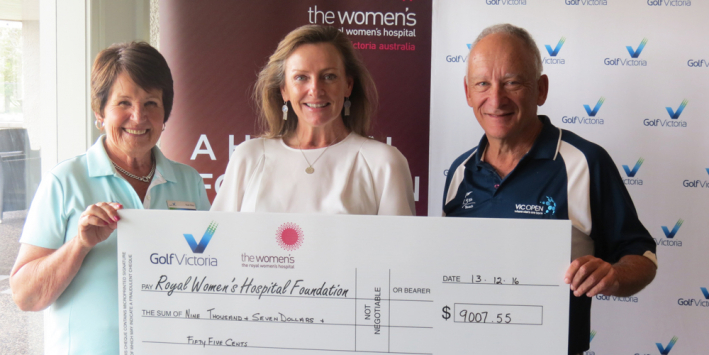 Over ten years, Golf Victoria has raised more than $200,000 in support of the Women’s Pelvic-Floor Dysfunction Unit and engaged over 25,000 female golfers along the way. In 2016 the Golf Victoria Royal Women’s Hospital 4Ball Best Ball (4BBB) state-wide competition raised over $9,000 in support of the Pelvic-Floor Dysfunction Unit here at the Women’s. The competition was established in 2005 to commemorate the centenary year of Women’s Golf Victoria, with organisers choosing to support this often neglected area of women’s health. Since then, the 4BBB competition and annual Charity Day events, have raised over $200,000 for the Women’s through the participation and donations of approximately 25,000 Victorian women golfers. The funds raised through this partnership have directly assisted the training of doctors and nurses in our Pelvic Floor Dysfunction Unit, in turn enabling the delivery of much needed treatment for women suffering from conditions such as urinary incontinence, pelvic organ prolapse and lower bowel problems. Foundation Philanthropy Manager, Susie Greig-Rouffignac, recently attended the Golf Victoria’s Women’s Golf Day Luncheon and thanked Golf Victoria for their commitment and dedication in supporting this important cause. "Pelvic Floor Dysfunction is not an easy topic to discuss, even amongst our nearest and dearest, as it is often associated with embarrassment and anxiety. With this much needed and very welcome support from Golf Victoria we can continue to research, support and treat women and give them the opportunity to get back to the everyday activities they love" said Susie. As the Royal Women’s Hospital Foundation and Golf Victoria continue our relationship in 2017, we invite any women with an interest in Golf to join the 4BBB competition this year and support this wonderful cause. Please visit the Golf Victoria website to find out more.